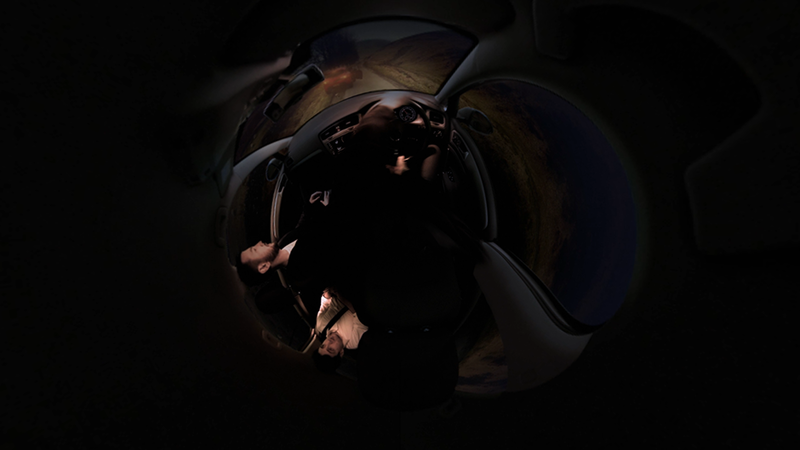 Prepare for the Unexpected is a 360 / VR experience which places the viewer in the driver's seat on a Scottish country road. Things aren't exactly straightforward on the drive home as a passenger has some big news to announce, not to mention some unwanted hazards from the outside world. Using VR cameras the footage was captured on location and in studio. This footage was then stitched together and plated out by SkyEdge. Once the footage was prepped we camera tracked, cleaned and graded it. Using Redshift’s VR camera tools we were able to animate the CGI objects and composite them into the footage. The end result was an highly effective Facebook and Youtube campaign. The client was overwhelmed by the final product – it proved to be a very clever use of their budget. 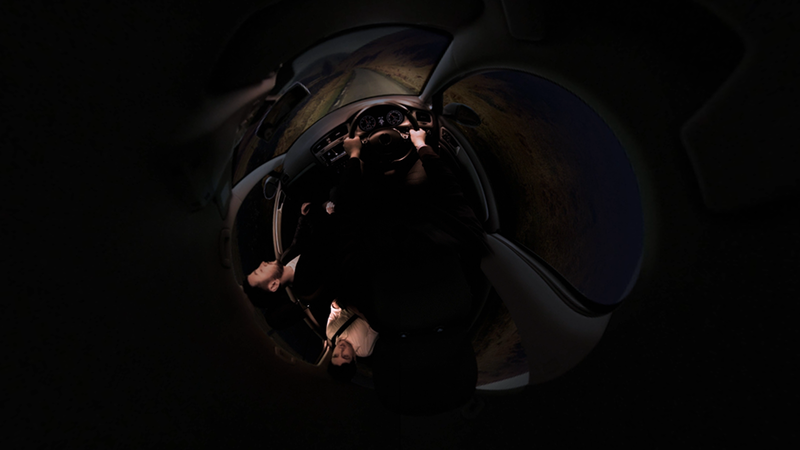 Shot on an Insta360 Pro and a GoPro Fusion 360, our ambition was to composite multiple footage layers, CGI elements and visual FX together to create a country drive with a difference. 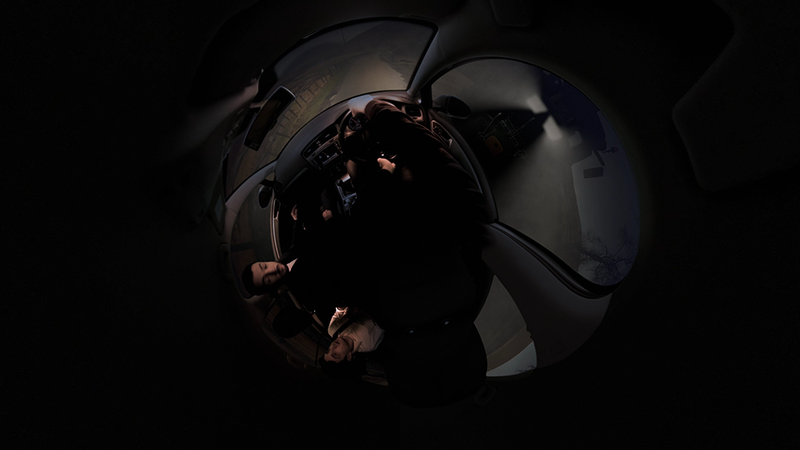 This workflow involved 360 degree camera tracking and solving using PFTrack's new spherical camera tools. These tools were very effective and allowed us to work directly onto the equirectangular footage without creating a cube map. Once the footage had been tracked our 3D workflow began. Using Cinema4D and Redshift we were able to place our 3D objects into the scene. PFTrack created an accurate point cloud, which enabled us to locate positions within the landscape accurately. Finally Redshift's spherical camera tools allowed us to export a matching equirectangular clip with the CGI on an alpha channel. 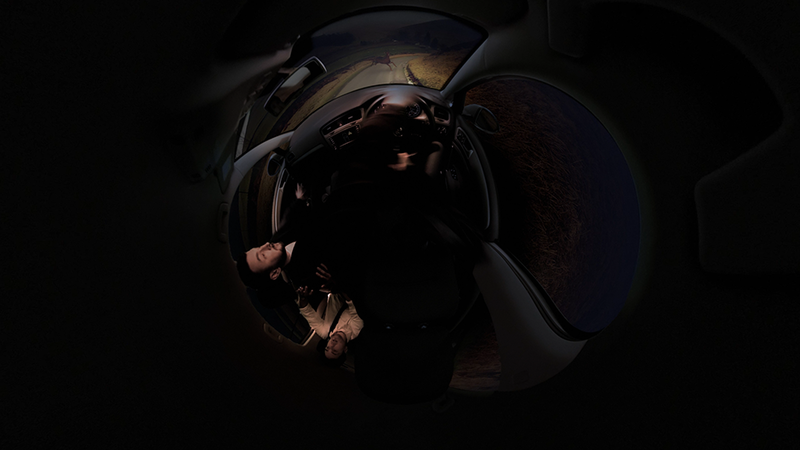 The car interior was keyed and treated using After Effects VR tools, then composited together with the background CGI and footage. The final detail of the sat nav dashboard map was created using the initial previz of the film.